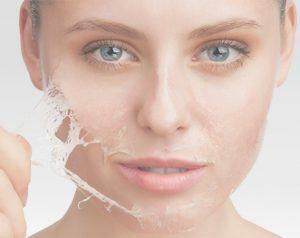 Aging is a natural process which leads the skin to sag by losing its firmness and elasticity. 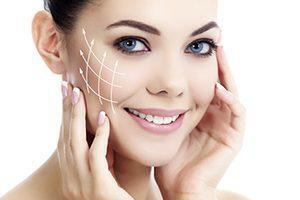 This condition gives rise to wrinkles and fine lines. Smoothing out these fine lines and wrinkles due to aging or exposure to the sun is not easy.But there are some anti-wrinkle non-surgical cosmetic procedures that can quickly and effectively smooth out the lines around eyes, mouth and the forehead.e. 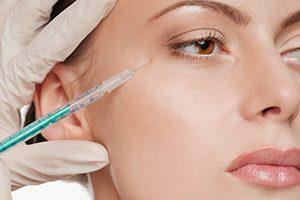 Dermal fillers are responsible to reduce the facial lines and maintain the volume and fullness of the skin and face. With age, our face starts losing its subcutaneous fat and the facial muscles start working close to the skin surface and that is when the lines (like crow’s feet) starts appearing on the skin. However, the anti-aging treatments on the skin can effectively reduce the appearance of these lines and the use of dermal fillers can effectively serve the purpose. The beautiful sandal-clad feet can fall short during the harsh summers or the playful monsoons; cracked heels are our not so best but our constant friends. Majorly this results due to the pressure on the foot, which causes the fat beneath the heel to expand and tear up the skin. Prolonged standing and wearing the particular type of shoes can be the primary culprits, a moisturizing routine or any of the native methods are not enough to solve the issue. The chemical peel can help address this issue. 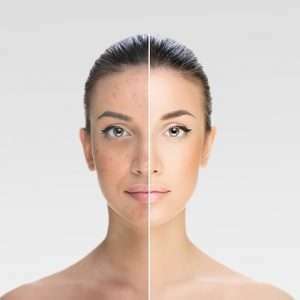 As you age, the percentage of skin Pigmentation rises and the visible wrinkles are way more noticeable. So, its something about your skin which is hampering your overall appearance and the need to restore the best face is the need of an hour. It becoimes essential to reduce freckles, age spots, and larger patches of discolored skin, especially on the face. Inform clinic's laser pigmentation removal, Cosmedical-grade peels, and skin needling. helps to restore the younger, brighter, more even complexion which helps to restore the overall confidence. Moles, or nevi, sometimes are beautiful but only when they are at the correct places if they are abundant than that is a point of concern. 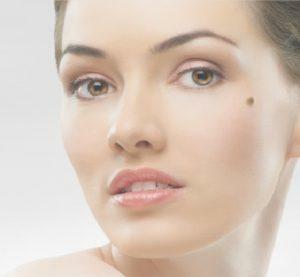 Moles are frequently removed for a variety of reasons. Mostly they are removed by two surgical methods one is excision (cutting), with or without stitches. Typically, a skin specialist may choose any of the ways such as excision with or without stitches, which entirely depends on the depth of the mole and the type of cosmetic outcome desired. Hairs can be a significant issue for many girls where the constant need to visit the parlor for the painful shaving, tweezing, or waxing to remove that unwanted bunch of hair adds to the overall stress , laser hair removal can be the best option which comes under the domain of cosmetic procedures and is widely adopted in Mumbai. It works on the principal by beaming highly concentrated light into hair follicles. That destroys the hair follicle and restricts any further growth. During pregnancy, the abdominal wall undergoes significant changes. To make space for the developing baby in the uterus. The abdominal walls expand and give rise to the new skin. After a cesarean section or C-section, the baby is delivered and then the abdominal walls slowly shrink over time. No matter how much exercise or weight loss regimes a mother undergoes, the stretched skin will neither go away and nor appear stretched as before. Stretch marks are one of the most common problems that are encountered by men and women as well. Stretch marks can appear at any time and in any place whether before weight loss or after a massive weight gain. Most of the women experience stretch marks in the post-pregnancy period.Some skin types are more susceptible to stretch marks than others. Tattooing has been the part of human culture since the earliest beginning of modern civilization. Nearly thirty percent of the people had a tattoo for at least once in their life. But most of them are not that contemplated with the matter. Hence, the tattoo needs to be removed, but how?Laser tattoo removal has given a definite and exact solution to this problem. Now people can very easily get rid of the unwanted tattoo without involving any major side effects. Injection lipolysis help in reduction of the number of fat cells around the injection site. The chemical, called deoxycholic acid, helps in fat cell disruption and the eventual death of the fat cells. This procedure is FDA-approved for treatment of the area underneath the chin to eliminate what is known as a "double chin." The candidates interested in reducing the fat beneath the chin should opt for injection lipolysis. The patients with excess loose skin are not the not the suitable candidates for this procedure. Keloids usually are firm, pink to red, bumps that tend to enlarge with time. Keloids typically happen due to abnormal scar formation. It is traditionally witnessed with the people with darker skin complexion. People who tend to form keloids should avoid cosmetic surgery altogether. 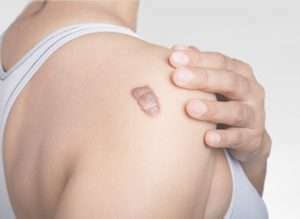 Keloids usually occur on the shoulders, chest, ears, and back area. The reasons behind keloid are not precisely known. The characteristics for keloids are not yet characterized sufficiently to explain the exact reason for its formation.